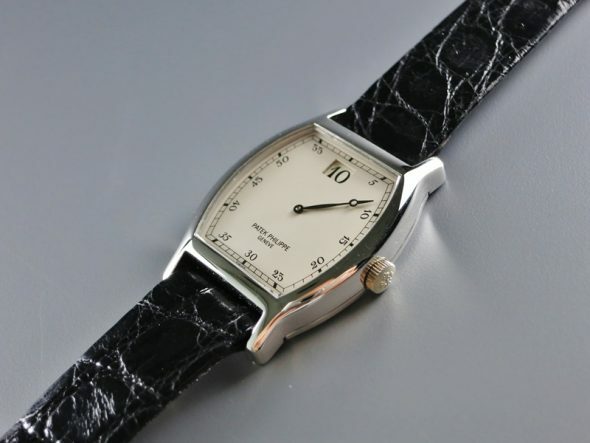 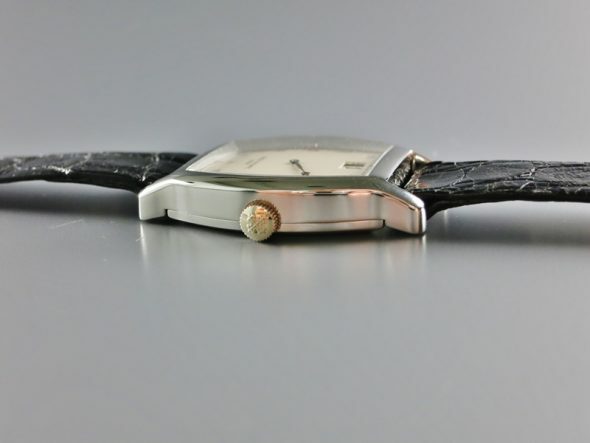 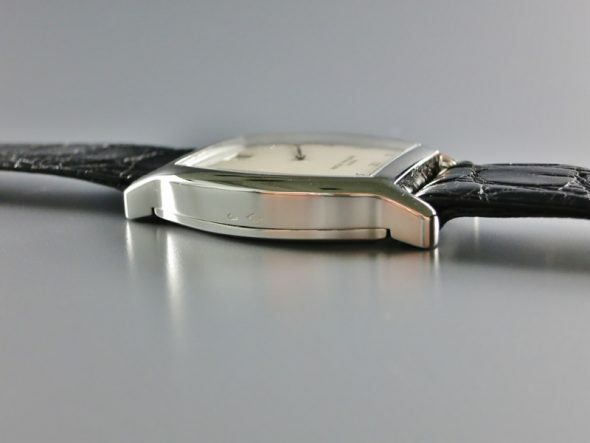 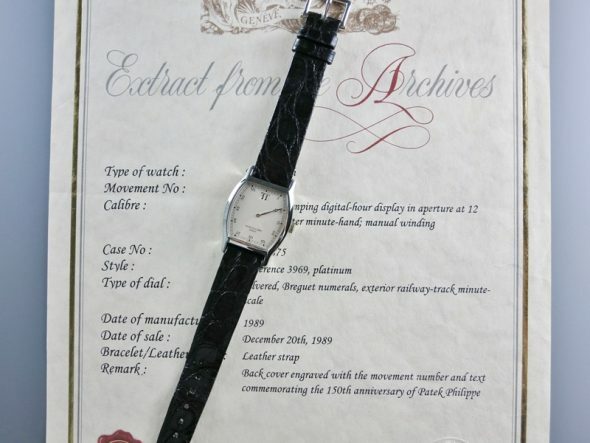 A very fine and very rare platinum manual-winding wristwatch ref.3969. 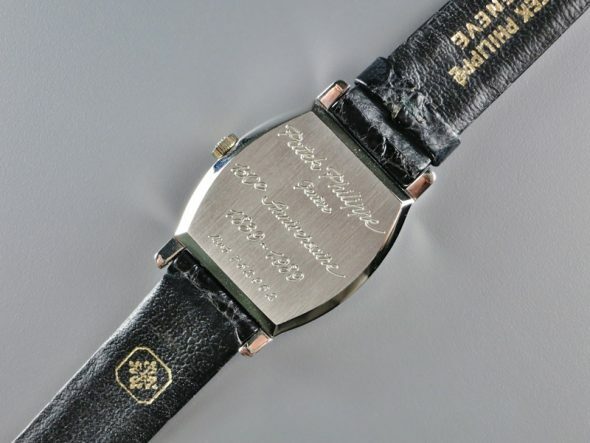 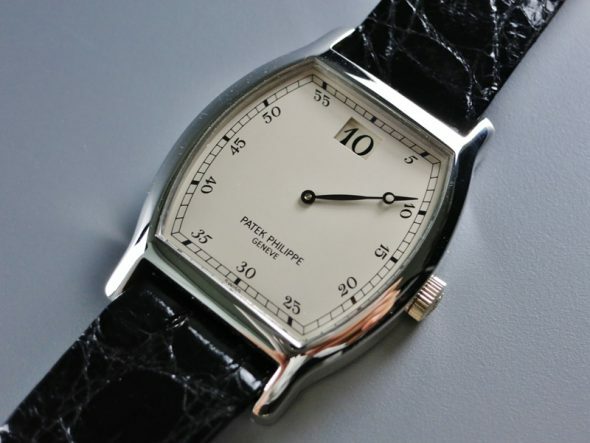 Made in 1989 in a limited edition of 50 examples in platinum to celebrate the 150th anniversary of Patek Philippe. 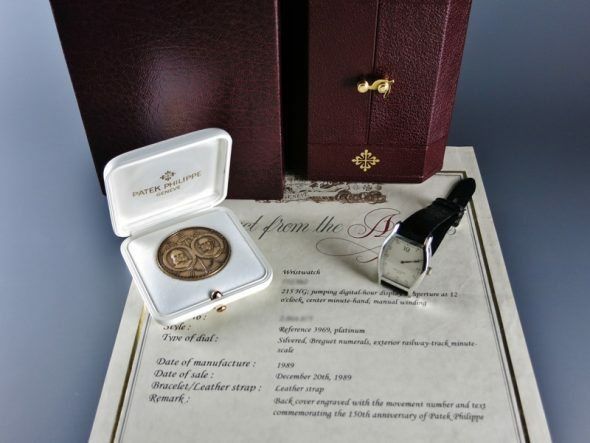 Accompanied by, fitter box, extract from the Archives and medallion.